GT-PAD is Sabelt’s first modular seat. The shell is covered by velvet with high resistance. The pad kits are available separately. 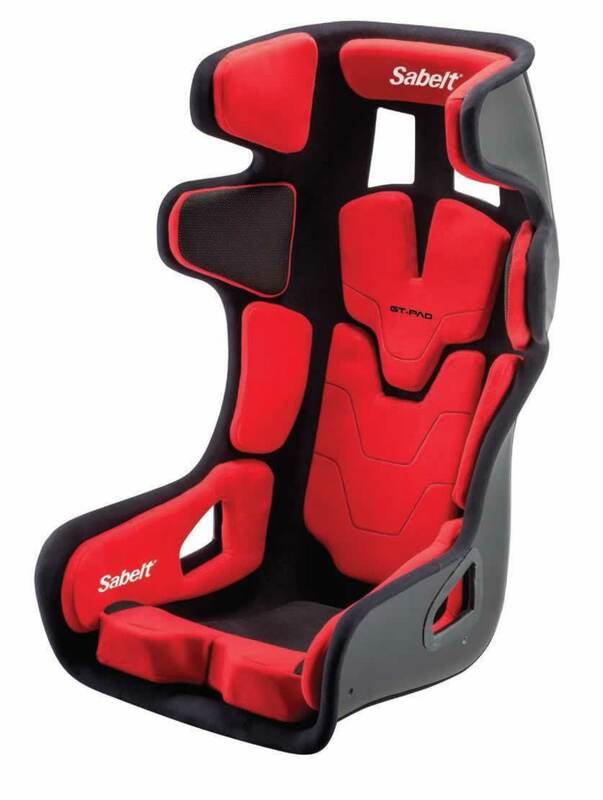 It is possible to customize the seat according to the different sizes of padding and by color. • Shell in VTR developed using the know-how acquired thanks to the world’s leading experiences GT and WRC. • Ergonomic foam sections studied with CAD simulations and tested by our professional drivers to improve driving comfort. • ADS-Air Ducting System: obtained thanks to the separation of the pad improves air circulation by increasing the seat’s breathability and improving driving performance. CLICK HERE TO SEE THE SABELT CATALOGUE FOR DETAILED INFORMATION, FITTING CONFIGURATIONS, SPARES AND ACCESSORIES. All bold prices shown do not include VAT.